Game of Thrones fans have long gotten used to the weirdness of seeing the show's actors out of character at events and on the red carpet, but reading their tweets is a whole other story. 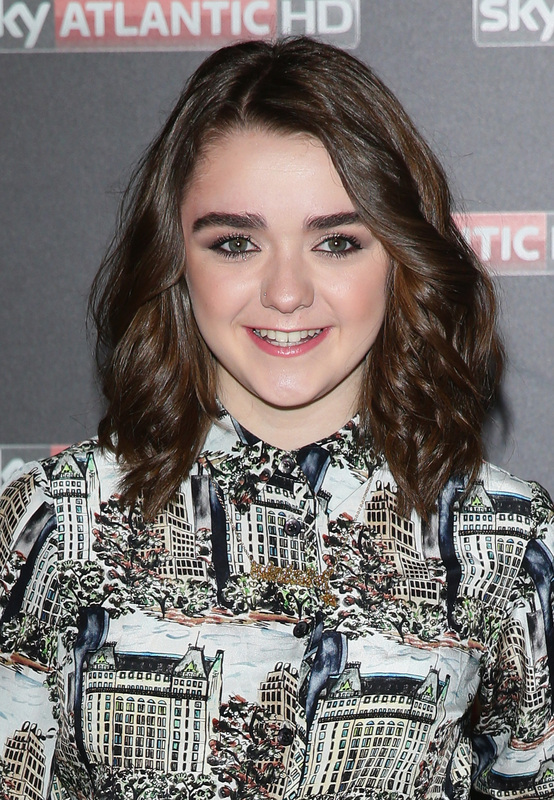 It's a shock to our systems every time Gwendoline Christie posts about True Detective or Isaac Hempstead-Wright shares his love for classical music, but no feed is as startling to read as that of Maisie Williams, the Vine-making, Lorde lookalike who plays Arya. Whether she's mashing up her face with The Hound's or posting #TBT photos of her holding a cow's udder, the 17-year-old gets frequent enjoyment out of proving that she's as different from her sword-carrying, vengeance-focused character as can be. On Thursday, Williams made that as clear as ever, tweeting about her love for Ed Sheeran's new album — but it's the singer's response to his famous fan that will make Thrones fans swoon the most. But really, it's only the "ginger is coming" tweet that we care about. And clearly, so does Williams, as she immediately retweeted Sheeran's comment. The actress hasn't posted any other response yet, but we bet it's only a matter of time. As Williams' prior tweets have shown, she's just as much of a fangirl as the rest of us, and when your favorite celebrity tweets at you — let alone make a joke about your show — it'd only be natural to freak out. And knowing Williams, she'll do it in the most hilarious, un-Thrones-like way possible.